8 Advertisements in 2018 that moved us in many ways! Remember the time when ads were just a group of people singing brand name with some earworm jingle? 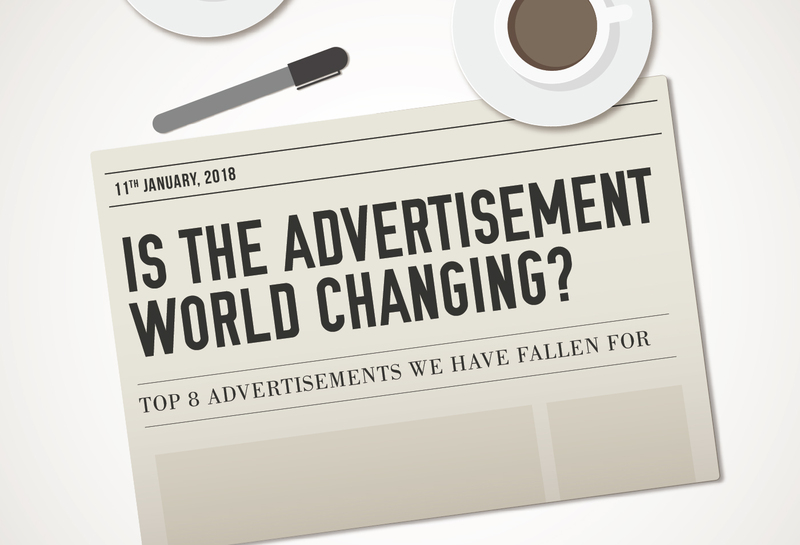 Well, those were not-so-good old days because today, the advertisement world is more than just that. It’s logic, emotion, branding, and script. There are some which are blank & lame but some are made for the smart Indians, which are different from others and with their creativity they leave us wondering with several HOWs, WHYs and WHATs. As we enter 2019, let’s have a look at some of last year’s best work of Indian Advertising Industry. 1. The next time you take a shower, you know what to keep in mind. 2. How many of you fell for this? we know we did! 3. Parle-G tells that sadvertisement isn’t going anywhere. Not anytime sooner! 4. And here’s one more proof that no one does it better than zomato. 5. Titan Raga tells women to embrace their flaws. The Narration – ON POINT ! 6. That’s literally a PICTUREsque ad! 7. Still going BANANAS over this. 8. Another gem added to the ‘Men will be Men’ series! To all the advertising agencies behind these mind-boggling ads, take a bow!